Prenatal Vitamins: Do You Really Need Them? In an ideal world of nutrient rich soil and a diet of wild plants, daily herbal infusions, and organically grown foods, prenatal supplements, or supplements in general, would be obsolete. But in spite of controversial studies and myriad opinions, the majority of holistically minded health practitioners vote in favor of supplementation. In my work with clients in the last two decades, supplements have undoubtedly tilted the scale in favor of pregnancy and a healthy birth. Mainstream physicians and holistic practitioners may not always see eye-to-eye, but they do agree that a good supplements regimen can help increase pregnancy rates and shorten conception times. Patching things together works fine with old blue jeans, but less well with a regimen of prenatal vitamins. Selecting a high-quality supplement can help ensure your baby’s optimal development and your own continued health and strength throughout your pregnancy. • Do choose a high-quality product with pure and potent ingredients. It always surprises me when I see my clients spend tens of thousands of dollars on IVF and then, once they have conceived, go to a big-box store for generic prenatal supplements. Do choose a supplement that is easily absorbed. The US Pharmacopoeia manufacturing guidelines suggest that in order to be effective, any supplement tablet should break apart in 30 to 60 minutes. The USANA Babycare Prenatal Essentials™: are provided in their most bioavailable form and dissolve in water within 20 minutes. They provides safe, effective levels of the essential vitamins and minerals you need for a healthy pregnancy and a healthy baby. A potent combination of two products packaged as one, Prenatal Mega Antioxidant and Chelated Mineral work synergistically to protect cells from oxidative damage and to provide the broad spectrum of essential nutrients you need from before conception until you stop nursing. • Do take these two additional supplements if you are pregnant or nursing. –Active Calcium™ Chewable: During pregnancy, a woman’s calcium requirements increase by 200–30 mg daily because of the diversion of calcium to the baby. Supplementing calcium has been associated with lower risk of hypertension and preeclampsia. –BiOmega™ iii: Contains two key Omega-3 fatty acids that are essential for the developing baby. It also contains tocopherols, to minimize oxidation of the Omega-3 fatty acids. • Do take supplements with food. 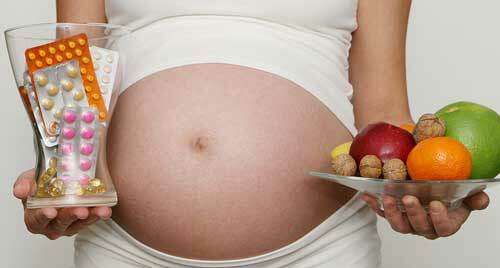 Prenatal supplements are considered nutrients and are best assimilated when taken with food. Ideally, take them with a complete meal containing protein, fiber, carbs, and fat. Fat is especially important for the absorption of fat-solution nutrients including vitamins D and E.
• Do start using these, if possible, at least three months before getting pregnant. The Fertile Heart™ approach involves using supplements together with healthy foods and mind/body/heart tools to increase overall physical and emotional health to the point where the body’s internal self-healing mechanism kicks in and restores hormone balance and more efficient organ function. • Do have your male partner take supplements too, if you are trying to conceive. The relationship between supplements and sperm quality has not yet been thoroughly studied, but research does suggest that antioxidants help to maintain peak sperm movement, according to Machelle M. Seibel, M.D. (in “Fertility and Sterility,” October 1999); see article here. And boosting male partners’ general health level has been linked with higher pregnancy rates. • Don’t rely on mixing and matching, but take a supplement that is created by an expert. The compounds in a supplement work synergistically to provide optimal benefit. This is a classic case of the whole being more than the sum of its parts. Supplements remove the guesswork from the question of how much you need of each compound for the greatest combined result. USANA Health Sciences was founded in 1992 by an internationally recognized microbiologist and immunologist. Dr. Myron Wentz has said that he saw that the nutritional supplement industry was filled with incomplete, unbalanced products and wanted to develop advanced nutritional formulations and manufacture premier nutritional supplements. • For those who are trying to conceive, don’t use compounds that target specific hormones. Specific hormones should only be targeted with great caution, under the supervision of a qualified healthcare provider specializing in infertility. Over the last decade, a number of fertility supplement formulations with strong hormonal properties have been touted as fertility boosters. Too often I have seen these formulas, even when prescribed by doctors, wreak havoc on women’s hormonal balance. USANA supplements are a perfect fit with the Fertile Heart™ philosophy because they focus not on specific hormone levels, but on increasing overall health and energy while enhancing endocrine function. • For those who are trying to conceive, don’t take a supplement containing iron if you have highly irregular menstrual cycles. USANA Essentials™ is formulated without iron for maximum safety. This is particularly good for women who experience irregular menstrual cycles, since periodic blood loss in women who menstruate regularly protects from excessive iron buildup. These women should take USANA Essentials™ instead of Babycare Prenatals Essentials™, and they should also have their iron levels checked. • Don’t take these products if you are pregnant or nursing. –Coquinone 30: This combination of CoQ10 and alpha lipoic acid is taken to increase cellular energy, but it is not recommended during pregnancy, because the safety of CoQ10 during pregnancy has not yet been established. –Flaxseed oil: There is significant controversy within the holistic community as to the benefits of flaxseed oil, and I do not recommend taking it during pregnancy. I suggest avoiding any supplements that contain it, including USANA’s OptOmega™ (BiOmega™ is fine). Thank you, Julia, I think this post is very useful for those trying to incorporate prenatal vitamins, since there are too many on the markets and most are not easily digested. USANA is very gentle and I recently come across both a RE and an alternative health practitioner who prescribe only USANA… each time I go to their office I see the little bottles of USANA waiting for someone to pick up their orders!